Her party girl however was unorthodoxly presented; she’s the girl who effortlessly rolls out of bed from a thirteen hour Orange is the New Black binge, with only fifteen minutes to get ready and strides confidently through an atmospheric party. It served as an explanation for Julia Sarr-Jamois’ styling which saw the pairing of hoodies and plaid skirts, cropped puffer jackets and A-line skirts, halter-neck tops and sweatpants. This season she was looking at Paninaro, a European subculture amongst teenagers who fetishised American culture. America has been on the minds of many fashion designers and creative directors during the fall 2017 womenswear season. President Trump’s ascent to power, chiefly, has inspired this train of thought. The state of the nation is truly lamentable and Williams’ sorrow was palpable in this collection. Sweatshirts reading “MISERY” and “SAVE THE PLANET” were notable standouts, unmistakably referencing the resoundingly felt emotion when thinking of America—pity, sadness, despair. 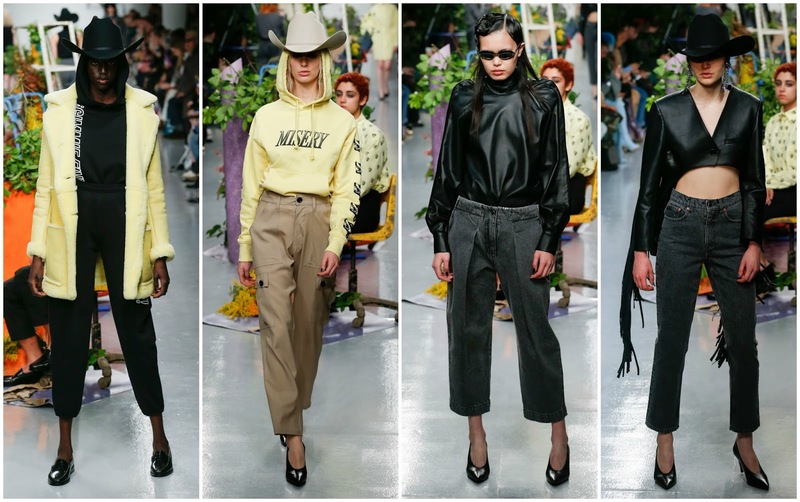 She explored Western influences, which were particularly amusing in the current climate (and they showed up a day later at House of Holland). The preppy sensibility of Ivy League schooling was apparent in her use of check. All of these cornerstones of Americana were the derivation of Williams’ mood board; she was fascinated by the the way Paninaro kids in Milan were obsessed with mainstream culture, how surprising the subcultural movement truly was. 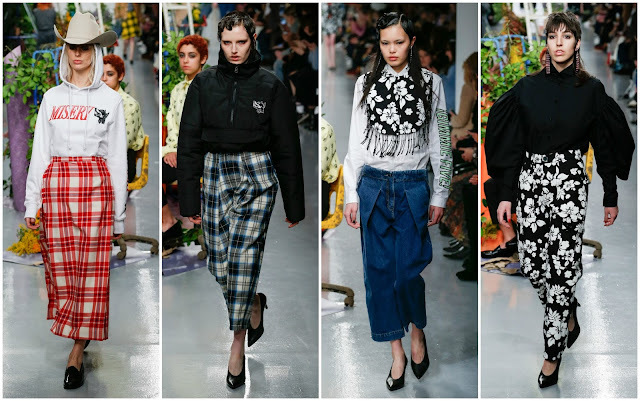 What I appreciate most about Williams is that I view her as a designer attempting to establish a clear, coherent message within her collections. It isn’t always a successful mission but there are unquestionable levels of effort. She may not be London’s brightest spark but she bubbly, effervescent and badass. She punctuates her aesthetic with bad girl defiance without entering saccharine territory—her woman determined and determinable but she’s not yet fully-fledged.